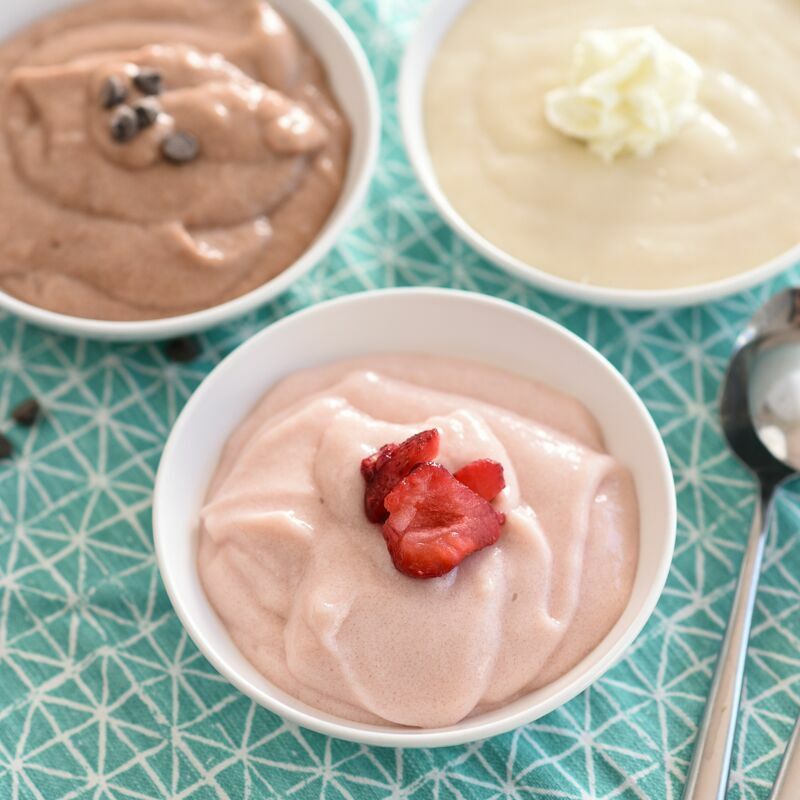 This airy and simple mousse is perfect if you need a protein snack after your Workins and don’t want to chug a smoothie. Or, enjoy it as an afternoon snack. Make just one for instant mousse satisfaction or make up a bunch ahead of time for grab-and-go protein rich snacks. We’ve given you a Neapolitan of flavors: chocolate, strawberry, and vanilla. Please Note: Eat just half this recipe for a dessert following a meal that already includes plenty of protein. If you want the full recipe for a dessert, use just half a scoop of whey and add extra sweetener to the Chocolate and Strawberry versions. 1 tsp THM Glucomannam "Gluccie"
Blend all on high for 45 seconds. Let rest for half a minute then blend for another 30 seconds. You'll want to use the above amounts of both the gluccie and xanthan gum for best results. If you only have gluccie, use 1.5 teaspoons. If you only have xanthan gum, use 3/4 to 1 teaspoon.